If you feel it’s time to change your look a little bit or you just want to match your hair colour with the colour of your lashes, then dying your eyelashes may be the way to go. It is recommended that you have a professional apply your eyelashes colour, but if you don’t have allergic reactions and have a steady hand you can save a little money by dyeing your eyelashes at home. Before you begin, though, you need to make some important decisions and take some precautions to ensure everything runs smoothly. Decide whether you want to use permanent eyelash dye or temporary eyelash tint for dyeing your eyelashes at home. It may be a little difficult to get your hands on permanent eyelash dye on your own unless you are a professional beautician. But, with a little asking around at your beauty supply shop or salon you should find what you want. It is crucial that you do an allergy test to ensure you are not allergic to the dye you picked. Obviously, you don’t want to wake up the next morning after colouring your lashes only to find your eyes puffy or skin sore because of an allergic reaction. 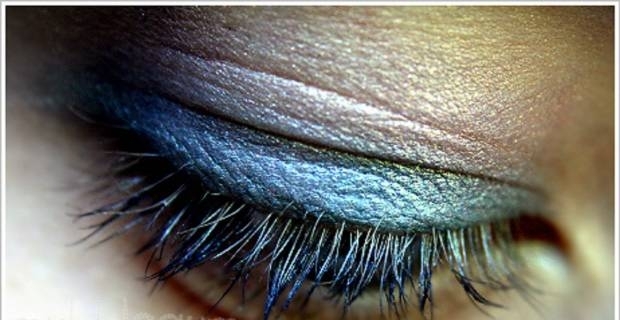 Mix up your eyelash dye and apply a little of it to an inconspicuous part of your skin like the back of your knee. Observe if there are any reactions. If there is none and both preliminaries are out of the way, it is time to get dying! Clean your eyelashes to remove natural oils and make-up using a non-oily cleanser. Remove your contact lens, if you wear them. Apply a layer of lotion or some petroleum jelly that is not completely rubbed in around the eyes to protect the skin from taking on colour. You can use a small, flat wand to apply the light layer of petroleum jelly or other thick cream around your eyes for the protection of skin. Be careful when performing this task so you don’t put products in your eyes. Colour your lashes following the manufacturer’s instructions to the letter. Mix up the dye substance and solvent and stir until you get a creamy consistency. Dip a mascara wand in the dye mixture and apply colour to your lashes in a slow, methodical, top-to-bottom motion. Make sure the mascara wand is not dripping when you lift it to your eyes for application. Allow the dye to catch on for the time specified by the dye manufacturer as outlined in the instructions sheet. Finally, remove the majority of the dye mixture from the lashes. Dip a clean wash cloth or tissue in lukewarm water, close your eyes and wipe off the dye from your lashes. Keep wiping until there is no more colour coming off. Be careful throughout this process to avoid any contact with the eyes. Once that is done, you can congratulate yourself for doing a fine job of dyeing your eyelashes at home!